A murder mystery, a broken heart, and a rich playgirl. You will get all of these in Kate Sweeney’s book Crosse My Heart. Sydney Crosse is a telecommunications mogul. She has loads of cash, a playgirl status, and instincts like no other. This businesswomen has a knack for solving crimes, you could say this is her past time. 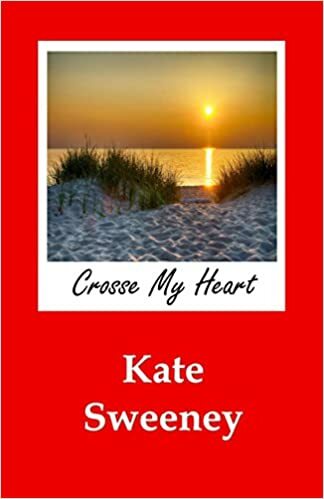 Sydney’s old friend Jon is brutally murdered off the coast of Michigan, and the prime suspect in the case is Sydney’s former lover, Grace Morgan. Grace is the only woman Sydney Crosse has ever loved. Cold feet, and her flight instinct took over and she broke it off with Grace. Grace has been harboring a broken heart over her breakup with Syd for years. Upon seeing her in the wake of her friend Jon’s death, all of these old feelings are dredged back up. Not to mention, she becomes prime suspect number one in this murder mystery. My take on this book is dependent on how much of Kate Sweeney’s work you have previously read. 1)If you have not read any of her books, this one is a good stand alone book. You will see her style,she always has interesting characters, some comedic elements, and a who done it mystery. All of these elements coming together for a winning combination. Her books are very good. 2)If you are like me and read numerous books by her including her Kate Ryan series, you maybe a little disappointed. So, I like the book, really I did. Where I got hung up was that I felt like I was reading a book I had already read. It wasn’t a fresh start in my opinion. I felt like it did not differentiate far enough from the Kate Ryan series, to really grab me had take me away like Sweeney’s previous stories. This could have easily been a Ryan series book, just switch a few character nuances around. Still, overall it was a good read, by a great author.